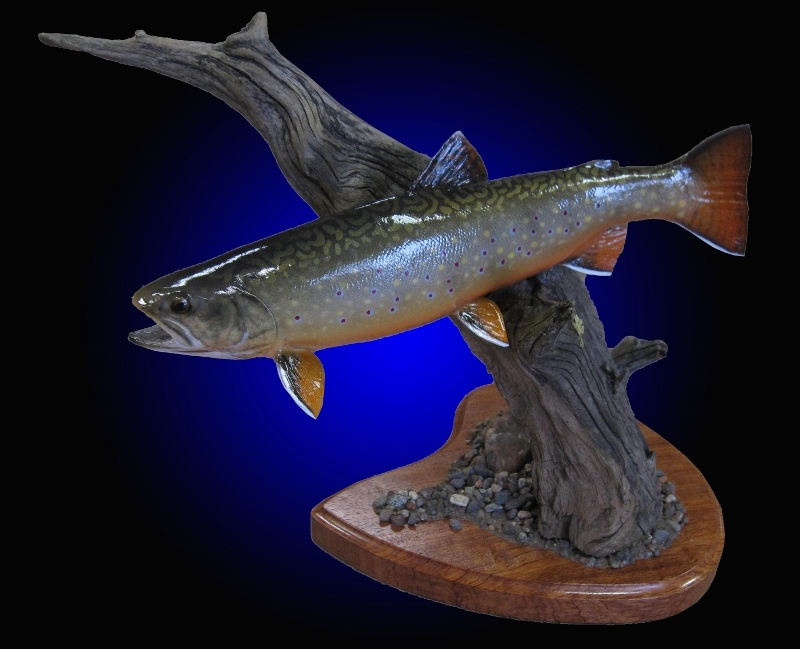 The popularity of fish reproductions or fish replicas has blossomed in the last 25 years. They are a much larger percentage of our fish taxidermy now compared to 25 or 30 years ago. The quality and realism has also increased in that time. Often people do not know just how a fish reproduction is made. Many think they are “sculpted” out of clay or some other medium and then painted to look realistic. The process actually used produces much more realistic results than sculpting. The start of the process involves molding an actual fish. 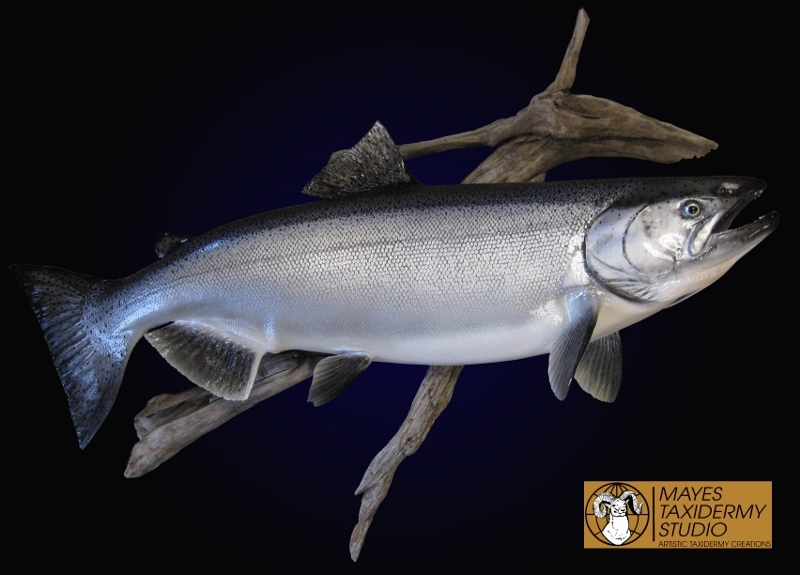 The mold is usually cast using a high grade of silicone which is able to capture all of the very fine details of the entire fish. Right down to the inside of the mouth, each and every scale as well as the fins. Once the mold is made, multiple castings can be made from that mold. The material used in the casting process captures even the smallest of detail from the mold. This casting is often referred to as a “blank”. This is where our work starts. Once we have purchased a “blank”, we assemble the fins, head, gills and body. We then install a glass eye, do some additional preparation to the blank and begin the painting process. Painting a fish reproduction takes even more skill to produce exacting results than painting a conventional skin mount. We start from a white surface versus painting a conventional skin mount which involves applying transparent paint over the skin to highlight existing markings. When done properly, a fish reproduction should be very difficult to tell from a well done conventional skin mount. When done improperly, it is painfully obvious that it is not a real mount. When we do a reproduction, ultimately we like to get a length, girth, weight and good color photo. Sometimes we get only a length. If we only get a length, we go off of the fisherman’s description of the body shape (thin, average, fat) and color. We will often provide photos of different variations in color within the species to choose from. Once we have the approximate size and color, we can do our part to turn your information into a nearly exact representation of your trophy fish!